This stew recipe has such great flavor it will quickly become a favorite. 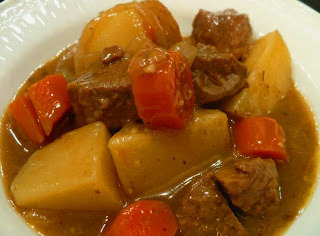 Using Guinness Stout beer adds a rich flavor to this beef stew and then it's cooked the old fashioned way, low and slow. 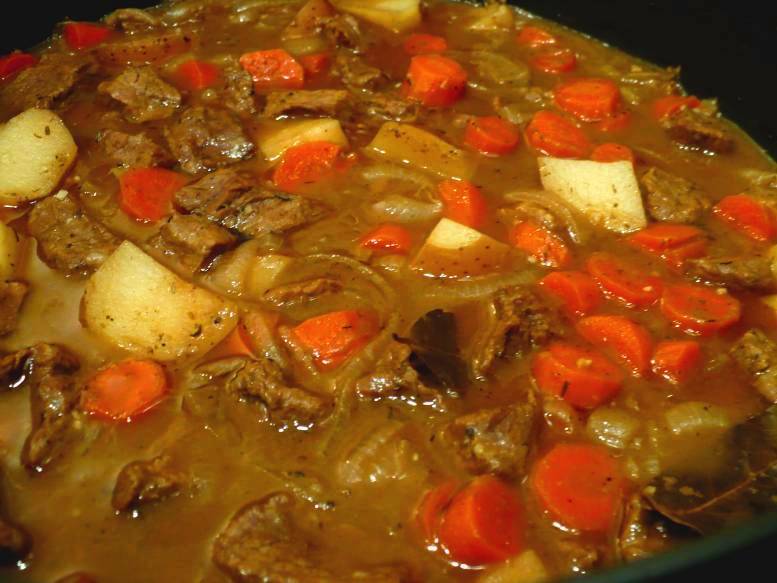 At a low temperature of just 275 degrees and cooking the stew for 2 hours, the flavors blend into a creamy beefy gravy that will warm your soul on a cold winter night. All you need is a loaf of Irish Soda Bread on the side to soak up all of the delicious gravy. Heat a 6-quart stove-top and oven-proof pot over medium-high heat and add the oil and bay leaves. Heat the bay leaves for a few moments then add the beef, browning meat on all sides over medium-high heat. Add the sliced onion and cook until tender. Reduce heat to low and add garlic, thyme, and flour, adjusting the flour as needed to evenly coat the beef and onions; stir well until smooth. Add the beef stock and Guinness; simmer, stirring, until the stew thickens a bit. Add the remaining ingredients, stir and cover. Place the pot in a 275 F oven for about 2 hours, stirring a couple of times. Season with salt and pepper before serving. Serves 6.